VanLines.com only works with movers commited to top-quality customer service. When you’re ready to get moving estimates, work with us to request multiple estimates from licensed and insured moving companies in your area. Moving Boxes: What Works for a Small Move? How Does a Moving Company Determine Your Estimate? What are the Different Types of Moving Vehicles? Click here if you are moving outside the U.S. or if you are moving from one country to another. Moving away from home can be a life-changing endeavor. But the process of moving should not add to the stress of starting life anew in a strange location. Whether moving for work or school, Vanlines.com can assist consumers in gathering all the resources and information they need to move across country or to another country entirely. Because Vanlines.com only contracts with certified movers with good track records as quality moving specialists, customers can be assured that they will be paired with a moving company they can trust. Furthermore, the long distance moving companies and local movers found on Vanlines.com are United States Department of Transportation (USDOT) certified and seasoned in transporting individuals and families across state lines. They know what rules and regulations must be followed when transporting belongings from state to state or intra-state, so families don't need to worry. 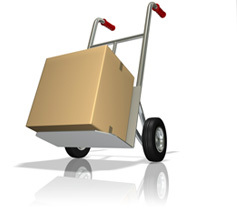 Vanlines.com also offers support for every kind of move, from full service movers to do-it-yourself truck rentals. Families on a budget can choose between several options that reduce the financial strain of relocating. For example, for those who do not mind managing the move alone, truck rentals are available. People who are willing to pack and load the moving truck, but do not want to drive to their new home can hire moving companies that do the hauling but not the stacking. Furthermore, individuals who do not want to rack up highway miles on their vehicles, or who have more cars than drivers, can look into auto shippers. Because many consumers are unfamiliar with the ins and outs of shipping automobiles, Vanlines.com provides access to pre-screened auto-shippers and articles designed to help customers understand what the process entails. This eliminates the guess work and relieves customers of the burden of finding a reputable auto mover. Vanlines.com also allows customers more time to tie up other loose ends associated with relocating by handling the bulk of an individual's moving needs. Individuals looking to move overseas can also benefit from the expert advice and quality services available on Vanlines.com. Because moving to a new country requires more than securing knowledgeable and trustworthy movers, the site also provides advice on what steps need to be taken before setting down roots in another country. After being connected to the right international moving companies, customers can browse articles about how to apply for a passport or get a driver's license and open a bank account in a foreign country. Prepared by the Federal Motor Carrier Safety Association (FMCSA). FMCSA regulations protect consumers on interstate moves and define the rights and responsibilities of consumers and household goods carriers (movers).